Get wired by CGI-Communication. Facts are most wiring closets are a mess, not labeled properly, and unless you are an experienced technician, extremely difficult to work in. Our experienced line technicans can handle anything from the most advanced integrated service racks to the simplest telephone distrobution block. Chances are if your office is over 15 years old its wiring has seen better days. Whether it's due to a shotty installation, water penetration, sun damage, or multiple different technicians touching it over the years, CGI-Communications Technicians can find the damaged line and repair the fault in accordance with todays standards quickly and easily. Lets face it, tracking down these types of problems can be messy, time-consuming, and extremely difficult if you don't know what you're doing. Why waste your time or risk adding additional cost to the repair? Call and schedule an appointment with one of our line technicans today! 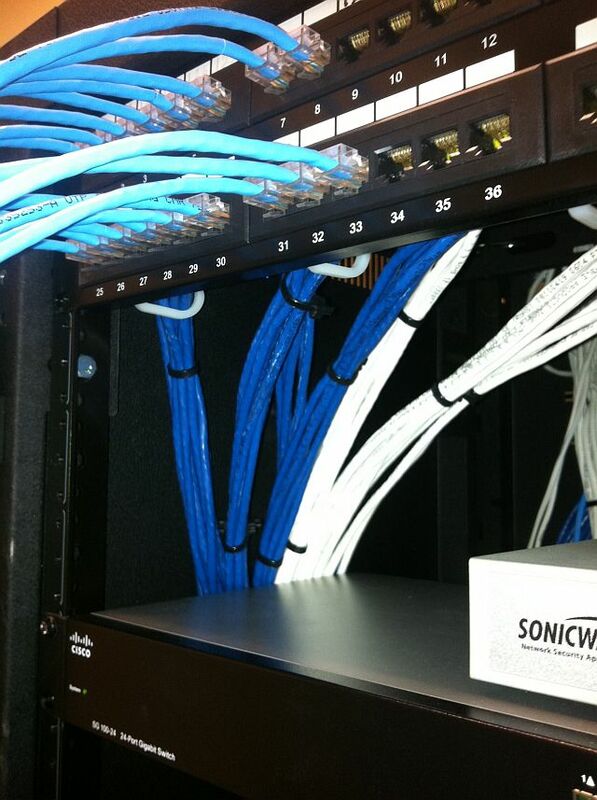 Common problems you might want to call us for: No Dial-tone, Crackling, Buzzing, Echo, Intermitent Service, Loss of Video, Upgrades, New Jacks, Jack Relocation, Structured Panels, Rack Design and Wiring. 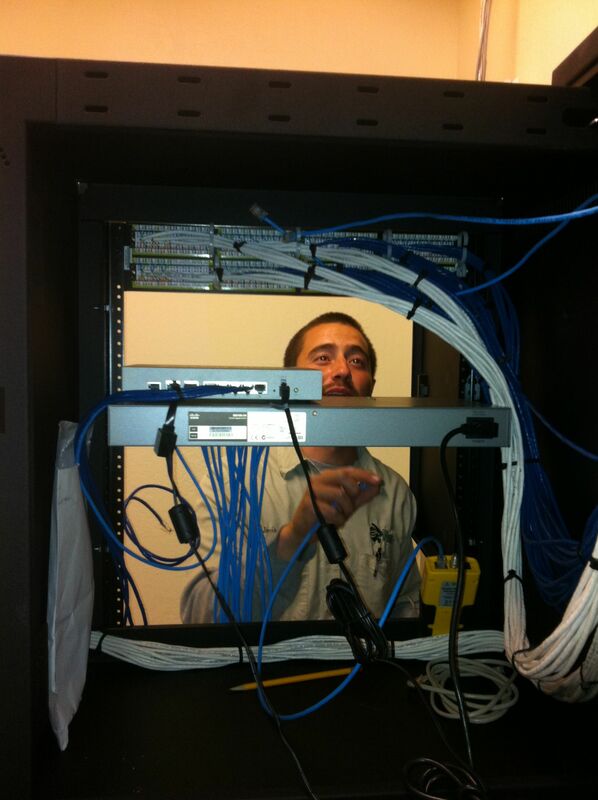 CGI-Communication will work on any standard cabling. We can only test up to the customer side of the Junction Box inside or outside your business. CGI-Communications is not responsible for problems associated with your telephone providers network. We can trace, find faults, repair broken cable, replace end connectors, and much more. Minimum service charge of $85.00 will apply for all site visits. For all Cat Series UTP cable we charge $.50 per foot. For all RG6/59 coax cable we charge $.75 per foot. Single Port Jacks are $5.00 and include a white or beige faceplate. Duel Port Jacks are $10.00 and include a white or beige faceplate. Larger Port and custom Jacks are available but may not be in stock. Check with Sales for assistance with choosing Jack configurations for your home. Don't forget that we install and service all Structured Panels (the box inside your home with the mess of cables that in most cases is missing several vital pieces of the puzzle). So, why CGI-Communication? Because we disclose our prices and an unbeatable value too good to pass by. Other companies promise cheap service, but then add in "hidden charges", higher renewals, or promotional services that simply "aren't as advertised". With us - you know exactly what you are going to get... Simple as that!